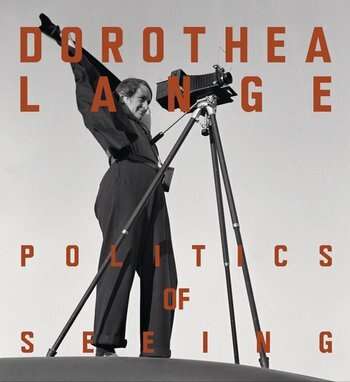 An essay on Dorothea Lange’s well-known image, written for the book of the Barbican Art Gallery’s exhibition of her work. Also presented at Jeu de Paume, Paris. Other essays by Drew Johnson, Abigail Solomon-Godeau, and Alona Pardo. ‘Iconic’ photographs have a kind of fame that is self-perpetuating. Like celebrities, the more they are seen, the more they are seen; and the more they circulate, the more they circulate – but the less they are understood. As their status grows, their meaning becomes vague, little more than the accumulation of clichés and received wisdom. More often than not, photographs become iconic when they become default substitutes for the complexities of the history, people or circumstances they could never fully articulate but to which they remain connected, however tentatively. As with monuments to almost forgotten battles, they are symbolic placeholders, public markers for a missing comprehension. If any photograph deserves the mixed blessing of being described as ‘iconic’ it is Dorothea Lange’s ‘Migrant Mother’ (1936). It has become one of the most recognised and reproduced, with all the power and problems this entails. For ethical reasons, Lange preferred not to photograph people unawares. Most often there was at first some kind rapport to be established. The resulting images could be described as collaborative, although the precise nature of such collaboration can be too nuanced to define. Suffice it to say, the avoidance of the problems of candid photography in favour of a more participatory approach has its own challenges for the photographer, subjects and eventual audience. However closely we study the photographs, we shall never know exactly what went on between Lange and the woman and her children. [i] Dorothea Lange, ‘The Assignment I’ll Never Forget: Migrant Mother’, Popular Photography, February 1960. [ii] Lange submitted only five of these images to the FSA, whose holdings are now in the public domain at the Library of Congress, Washington, DC. The sixth image surfaced when Lange’s husband Paul S. Taylor used it in an article for American West magazine in May 1970. The seventh exists only as a contact sheet in the Dorothea Lange Archive, Oakland Museum of California. [iii] Dorothea Lange, ‘The Assignment I’ll Never Forget: Migrant Mother’, Popular Photography, February 1960.